Solar screens are the latest in screening materials for your windows, doors, patios and screened in porches. They may just be one of the most cost effective and energy efficient ways to reduce the sun’s heat build-up in your home while providing protection from damaging UV rays. Solar screens greatly diminish the sun’s heat from entering your home. By stopping up to 75 percent of the sun’s heat from entering your home, you can save money by reducing your cooling costs. They are made from a special window screen mesh. Many of them are made from a polyester weave and some of which have a PVC coating which gives them additional strength and durability. Screens can be ordered in a variety of colors and can be matched to the exterior of your home. Ordering the right solar screen can improve the look of your home while providing added privacy and protection against insects and pets. 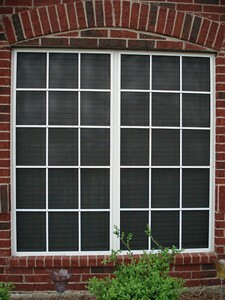 One of the greatest benefits to solar screens that it is one of the most inexpensive solutions to upgrading your home. This is especially true when compared to other efficiency upgrades like window replacement, insulation and siding work. Since solar screens will save you money on your cooling cost’s they pay for themselves. We can provide solar screens for all size windows, so do not hesitate to inquire about how solar screen can improve your home! Start saving today by reducing your electric cooling costs with the installation of solar screens for your windows, doors, patios and outdoors screened in porches. Call 718.984.1300 or 718.984.2100 for more information!